Brink (stylised as BRINK) is a first-person shooter video game developed by Splash Damage for Windows, PlayStation 3 and Xbox 360. It was released in North America on May 10, 2011, in Australia on May 12, and in the European Union on May 13. Splash Damage developed the SMART (Smooth Movement Across Random Terrain) System. By noting a player's position and predicting what he is trying to do, the system lets players navigate complex environments without equally complex input. There are four character classes: Soldier, Medic, Engineer, and Operative. The same class system could also be found in the previous titles Wolfenstein: Enemy Territory and Enemy Territory: Quake Wars. The Soldier resupplies teammates and uses explosives to destroy important targets. The Engineer buffs his teammates' weapons and builds stationary turrets. The Medic heals fallen teammates and buffs their teammates' health. The Operative interrogates fallen opponents to get intel on enemy locations, performs acts of sabotage, and disguises himself as the enemy. Players can customize their characters and buy items with experience points, which are earned by completing objectives. The same experience points can be earned in both single-player and multiplayer. Bethesda claims that players can create a total of 102 quadrillion unique character combinations, if minor variations are factored in. The Squad Commander system gives players context-sensitive missions. A variety of factors—where the player is, how skilled he is, his overall mission progress, etc.—determine what missions will be available. During both on- and offline play, the player can defend one of his faction's command posts or capture an enemy's command post. An Objective Wheel shows the main objective in yellow and will show a checkpoint which the player will need to reach to achieve that primary goal. There are also secondary goals. Each player has one in his inventory and will, on certain missions, be timed to achieve the goal that must be completed. 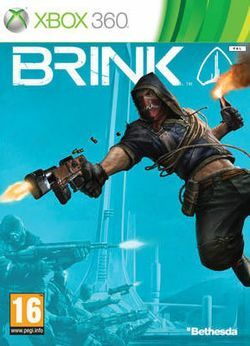 At QuakeCon 2010, Splash Damage announced Brink's digital pre-order bonuses for several digital retailers in North America as well as Europe. These bonuses will help expand the players starting customization options, with the Doom (GameStop), Fallout (Best Buy), Psycho (Amazon.com and Direct2Drive) and Spec Ops (Walmar] and Steam) packs. The "Doom" and "Spec Ops" packs are both available in Nordic retailers. Little is known whether the pre-order bonuses will restrict players who didn't pre-order from a certain retailer, or if the pre-order bonuses are just early access at the moment. In the United Kingdom, where Walmart does not operate, GAME released a "special edition" which, while costing more than the normal edition, included the Spec Ops and DOOM packs. This page was last edited on 9 July 2016, at 04:08.